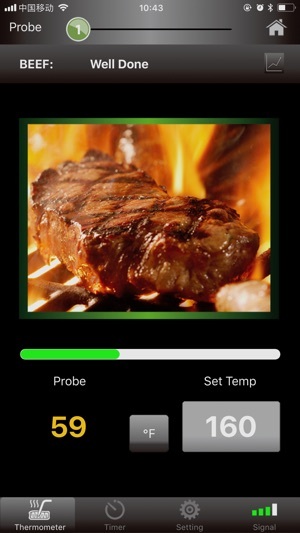 - Select different meat and taste with default Set Temperatures and customized Set Temperatures. 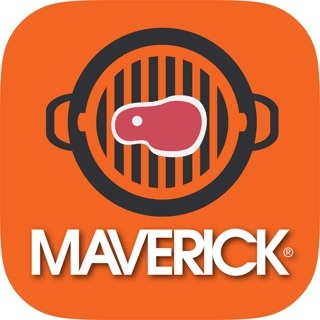 - The App will provide the progress of the cooking. 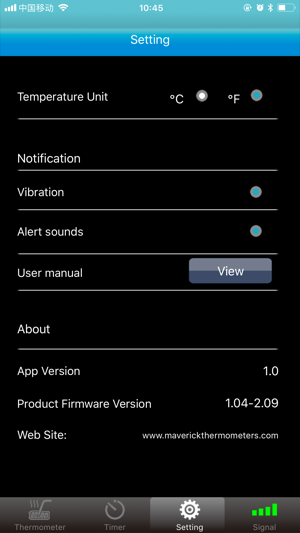 - The App will provide notification (sound and / or vibration) to user when target temperature is reached. 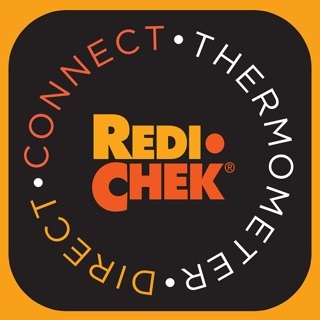 - The App can display temperature in ℃ or ℉ and is user selectable. - Support at most 4 probes of thermometer and end user can assign different meats and tastes to individual probe for cooking purpose. - It may display temperature plotting which is real time monitor the probe temperatures and display the historical data in graphical format. The feature of RSSI displays the Bluetooth signal strength within the range. 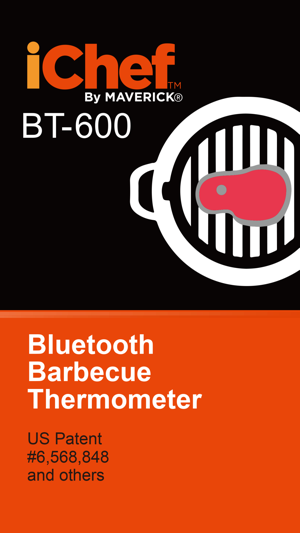 It works effectively with Extended Range Barbecue Thermometer BT-600 and capable to monitor the food & barbecue temperature from up to 300 feet away. 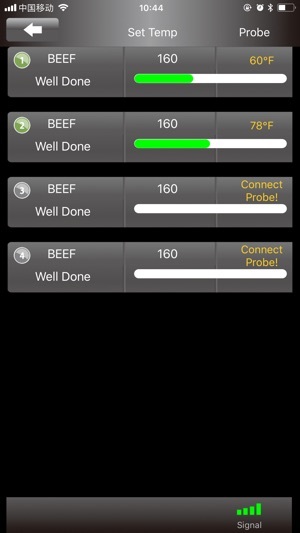 - There are four channels of timers which assist the user for various cooking / BBQ purpose. - Each channel can be selected to work as up count or down count timer. - Count up timer is used for monitoring the duration of cooking activities. 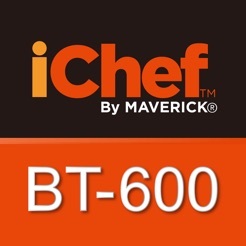 - Count down timer is used to set a target time for cooking. 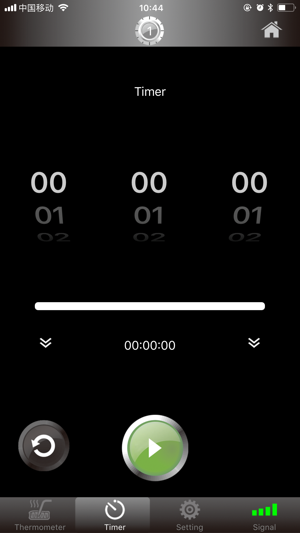 When the timer count down from target time to zero, the App will trigger a notification (Sound and / or Vibration) to user. Has potential to be great. 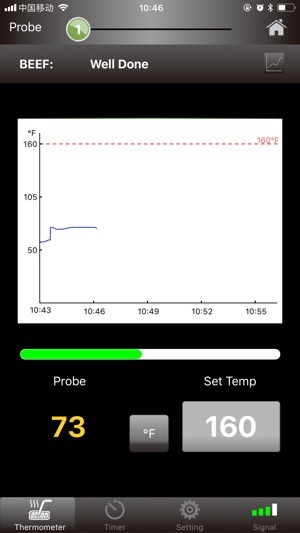 Overall not bad, I am yet to compare with other temp probes to see how accurate they are. Some Bluetooth issues even though it boasts a huge range. I’m sitting 4m away from it and it says low signal. I also wish there was an interface where I can see all temps at once. Bought this new digital thermometer to replace my last one which was the older model. As stated in two reviews there is range issues. I’m sitting next to it right now and it’s stating there’s a low signal. Hopefully they can rectify this or may have to return. 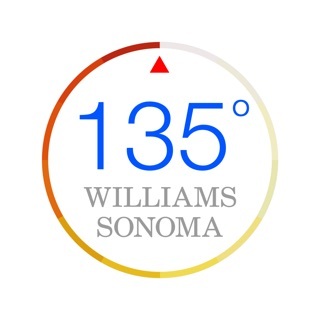 Great thermometer, it’s accurate come’s with the grill clips ect but the range stated is false and I may have to return on that basis. Maybe 30 foot range which is one tenth of what they claim.